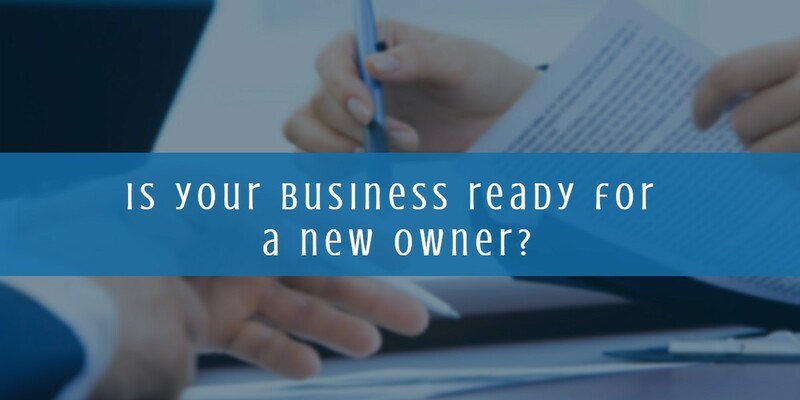 Is your business ready for a new owner? One third of small businesses in Canada will change hands in the next three to five years. 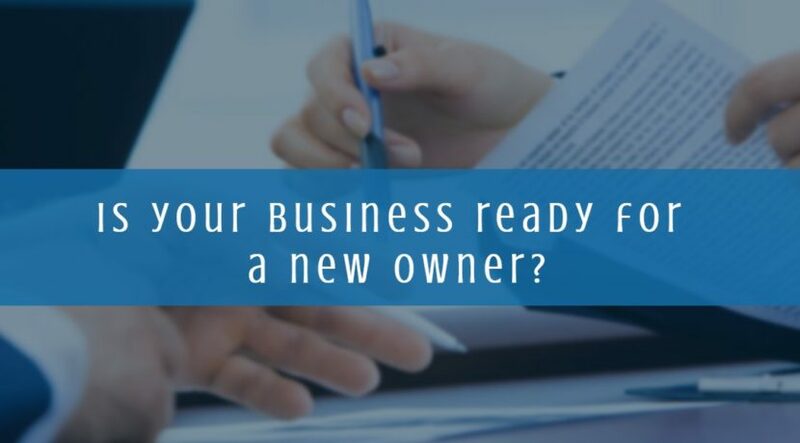 Even if you are not planning on selling anytime soon, now is the time to get your business ready for a new owner. Life happens. Plans change. A business that is prepared to sell is more likely to attract the right buyer and fetch a higher sale price. An additional benefit to getting ready to sell is the opportunity to improve your business thereby increasing its value. There are three things every business owner can do today that will help their business sell in the future. A financial plan that includes the most current profit and loss statements, cash flow, operations costs, projected costs of capital required to grow the business, and a break even analysis. An analysis of the strengths, weaknesses, and opportunities that are affecting the business as well as consideration for factors expected to influence business performance in the near future. A detailed plan for revenue generating goals. A growth plan will help small business owners see beyond the day to day activities of the business so they can focus on strategic details that need attention in order for the business to grow. It can also be used to show prospective buyers one potential avenue for growth and success into the future. One of the most important documents for any business owner is an exit strategy and yet, most business owners never draft one. Planning an exit strategy in advance can help make a business more profitable, earn a higher sale price, and give business owners time to find the most tax advantageous sale strategy. Having an exit strategy in place is one of the most effective ways to build a business that does not have an overreliance on the owner. When a business is too tied to an owner’s skill or expertise, it makes it difficult to sell. A potential buyer needs to be able to see themselves or their own team at the helm of the business. An exit strategy can help them to understand how the current owner will transition out and what they need to do to take over. Every small business owner needs a team of experienced professionals to help them build, grow, and sell their business successfully. Your success team should include a lawyer and accountant who have experience with buying and selling businesses. Because the process has so many moving parts and unique nuances, an experienced team can make a huge difference during every stage of the process and help business owners earn a maximum return on their investment. In addition to a lawyer and accountant, business owners should bring on an experienced business broker. A business broker can help with items such as giving guidance on drafting a growth plan. Getting the right team together in advance is one of the best things a business owner can do right now. 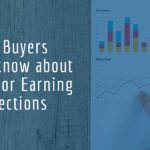 Many business owners do not plan to sell their business within the next few years but the reality is that the unexpected happens and often forces business owners to sell before they are ready. This can be stressful and financially difficult. Preparing in advance is one of the best ways to set a business up for success. It also allows business owners more opportunity to take advantage of unsolicited offers that come their way. 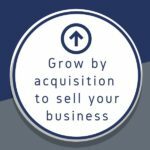 If you need help getting your business ready to sell, even if you aren’t planning on selling for a few years, contact Acuity Business Group to find out how we can help. Your future self will thank you!